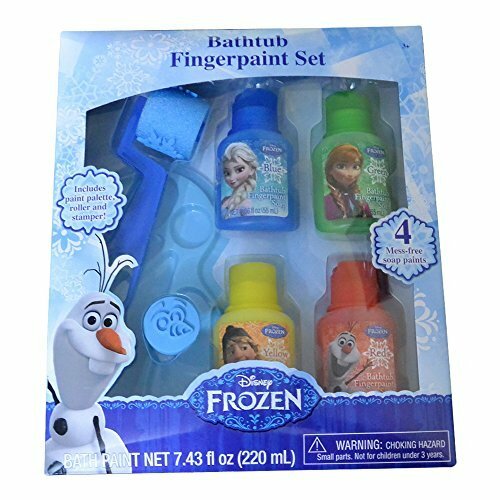 Have fun when it comes to bath time with this great Frozen-themed set of four colored finger paints! 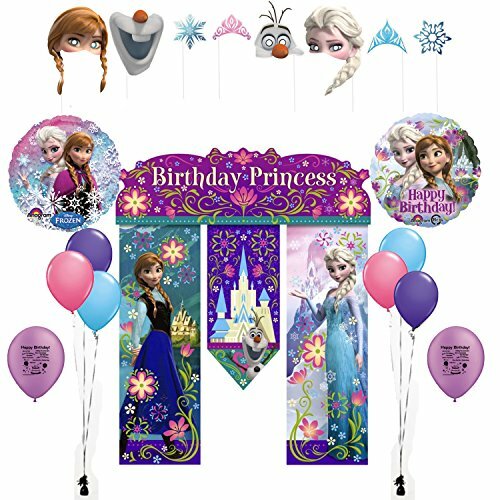 This paint set comes with a palette and color instructions for mixing your bottles of blue, green, yellow, and red to make your own unique colors! 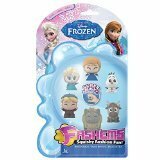 The set also comes with a roller for making snowflakes and a stamper to make Olaf's face! These finger paints are so much fun to use in the bath! Kids can get creative, using the bathtub as their medium. The soap paints are easy to clean up when play time is over -- just wipe!